I’ve been extremely busy over the past year, and so have been cooking less. This is bad. There are a lot of reasons; travel is a big one, since the nice folks at the Hilton would not have appreciated it if I’d tried to find a way to cook in the room. Travel can lead to bad choices. The breakfast buffet. The endless happy hour. Anything offered at the Cheesecake Factory, where I think the unsweetened iced tea MIGHT be under 700 calories but nothing else is. So I’m trying to get back into the habit. It’s better for my health when I cook. Also I’ve bought some cool stuff for the kitchen during the past year and I don’t really appreciate the irony of not using it. As part of this reboot I’m trying to make more sense of my various blogs. I have four: this one, Recipes of the Yum, Recipes of the Damned, and AmyDStephenson.com. Recipes of the Yum will be about cooking pretty food, or trying pretty food when I’m out. There is potential overlap with 107 Cookbooks but the basic idea will be that old favorites go on RotY and new efforts go on 107 Cookbooks. Recipes of the Damned will be about scary old recipes, or just plain problematic recipes, as well as about food issues in the news and scary items on the market. I’ll be revising and re-posting some of the old material I had up years ago, which is no longer online due to Internet infrastructure issues that are too stupid and tedious to get into. AmyDStephenson.com will have original writing about whatever strikes my fancy. It will probably be updated the least often, but I’m trying. 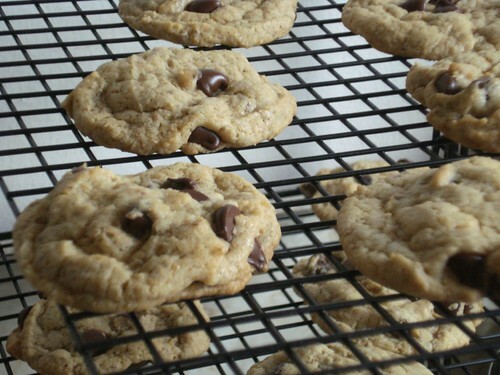 As I get things up and running, check out this RotY post about vegan chocolate chip cookies. I suppose I should have posted it here since it’s a new recipe to me, but I’m not OCD enough to change it now. You see what I mean about overlap. Also, I’ve started a Zazzle store, Little Shop of the Yum, which will offer merchandise using photos from my blogs. If there’s anything you’d like to be able to get in greeting card or coffee mug format, let me know. Posted in: 107 Cookbooks, Recipes of the Damned.